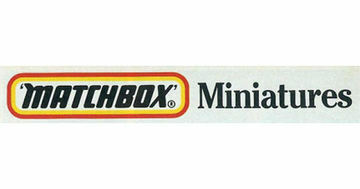 "Matchbox Miniatures" is the preferred name to be used for referring to all Matchbox small-scale diecast models made from 1953 to the present day. Since 1983 this name has been used officially by the companies successively manufacturing the models (Universal, Tyco and Mattel). For models which were part of the basic range from 1983 onward the unofficial designation "Basic Miniatures" is used. Several other sub series names were used and printed on packaging of basic range Miniatures during the Mattel era, starting in 2005.